click Build menu -> Configuration Manager... -> change Active solution configuration to Release. ; in the data segment. NOTE: If using Microsoft Vista, run OllyDbg as Administrator. Click File menu -> Open, then locate and load the executable file. Debugging session will start automatically. Click View menu -> Executable Modules. Why are there more than one module in this view? Double-click your program to bring up the CPU view. Which CPU register contains the address of the next executable instruction? What is the address of the next executable instruction? What is the next executable instruction as shown by OllyDbg? Click View menu -> Memory. Examine the view and briefly describe what do you see in the window. In Memory View window, right-click the .text section of your program, and choose View in Disassembler. In your own words, explain what do you see in the Disassembler window. Hint: you can copy and paste the information from any OllyDbg window at any time. in its .CODE segment. What happened to the original line of code? What do you see in the Disassembler window instead? In Memory View window, double-click the .data section of your program to open the Dump View window. What is the starting address of each character? Switch back to the CPU window. You next task is to modify the EXE file so that program does something useful and replaces "ABC" with "XYZ". where addr-of-A, addr-of-B, and addr-of-C are the corresponding hexadecimal addresses of each character in memory. Enter the MOV instruction mnemonic and operands, then click Assemble. Click Cancel to close the assemble prompt. OllyDbg instantly assembles entered instructions and patches your program in memory. How many bytes does the MOV instruction occupy? Why the "XYZ" problem cannot be solved by simply entering the three of the above MOV instructions in a row? Why BYTE PTR operator was needed by the destination operand of the MOV instruction? instruction, and addr-of-A is the addresses of character 'A' in memory. Run program step-by-step (F8) in OllyDbg. 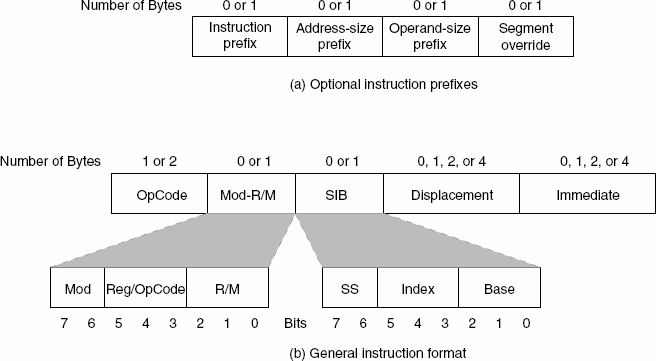 Intel Instruction Set Reference Volume 2 , Chapters 2 and 3, Instruction Format and Reference. Encoding Real x86 Instructions lecture. In CPU window, right-click the modified fragment, and select Copy to executable -> All modifications. New Disassembly window will open. Close this window. When File changed prompt appears, indicating that EXE file differs from the original, click YES. Answer positively that you wish to overwrite the original executable. Submit your answers to the questions highlighted in this handout. It is okay to copy and paste the entire lab description into a word processor of your choice and add your answers there. PLEASE DO NOT send any EXEcutables or Visual Studio project files.